R/C Monster Jam® Truck - MONSTER MUTT ROTTWEILER® | New Bright Industrial Co. Imagine the roar of the crowd and the crushing of metal. 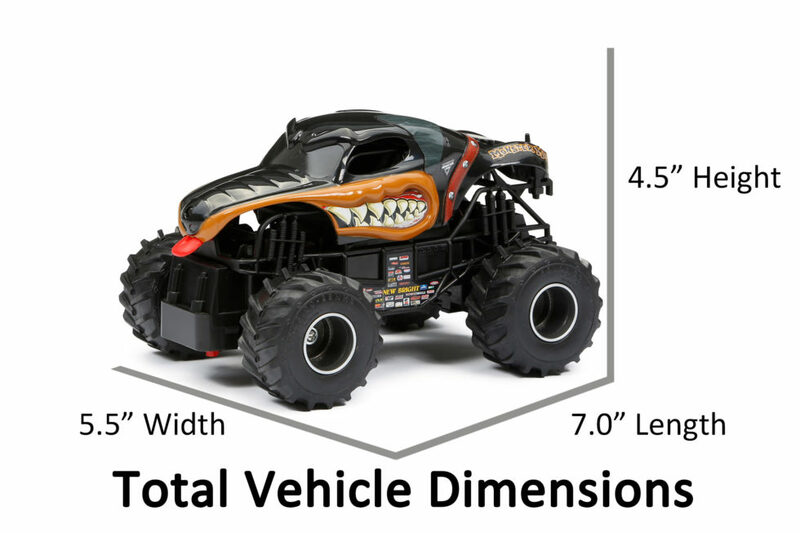 Rule the arena with these 1:24 scale (7”) Monster Jam trucks. Featuring a detailed frame authentic Monster Jam styling, oversized tires and bright graphics. Your friends are sure to be jealous. Monster Jam is… Feel the Power!